Received my Benzac AC loot from SampleStore last week and I decided to do a proper review because if you're like me and in your 30s but still suffering from the occasional breakout, you'll want something to treat only the acne and not dry out the skin all around it. Warning: you will see a few gross pictures of zits. So...what's with the clinical brand name? Benzac AC 5 is a topical, water-base gel that contains 5% benzoyl peroxide (cue the 'ahhh...I geddit's). This gel also comes in other strengths - 2.5% and 10%. Benzoyl peroxide is an antibacterial that effectively treats acne without the peeling and drying of the skin. Supposedly. Let's take it to the test! Although I've been blessed with relatively good skin, it has been suffering for the past 3 weeks thanks to stress, hormones and insomnia (yes...lack of sleep wreaks havoc to the skin). As a result, I've been breaking out on my chin area and a few on my shoulders. After applying Benzac AC twice a day, I realised that it sped up the process of some pimples to become ripe and it happily burst when I washed my face the next morning. 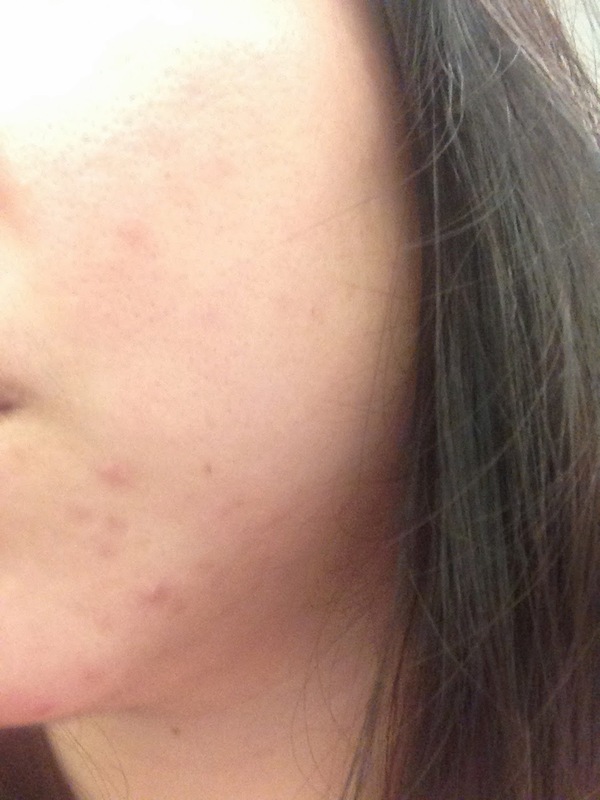 The really embedded acne didn't surface but it didn't become red and angry either! That's a big deal to me because I'd rather deal with a lump that can be easily covered with concealer than one that's painful and looks awful. As you can see from the whole kit, I also managed to get my hands on the Daily Facial Cleanser as well as the Scrub. Both are water-based too! Good news for those who use Clarisonic or other face cleansing tools: the Daily Facial Cleanser works on it! It doesn't foam a lot but enough to ensure that your face is thoroughly cleansed without it feeling dry. I do notice that for the rest of the day, my skin produced slightly less shine than usual. If foam is your thing, there is a foam version to this cleanser too. Apply the topical gel after cleansing and moisturising your face. 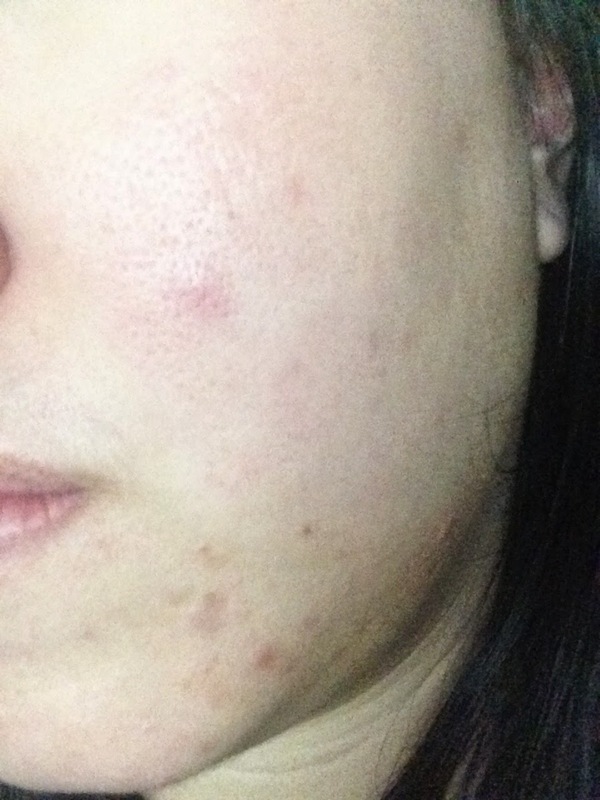 As you can see, the pimples have lightened and some of them have gone completely flat. The red 'scarring' is still left behind but that's quite normal for me as I'm a bit too fair :( The pimple on my shoulder burst on Day 2 and it too remains as a red scar. 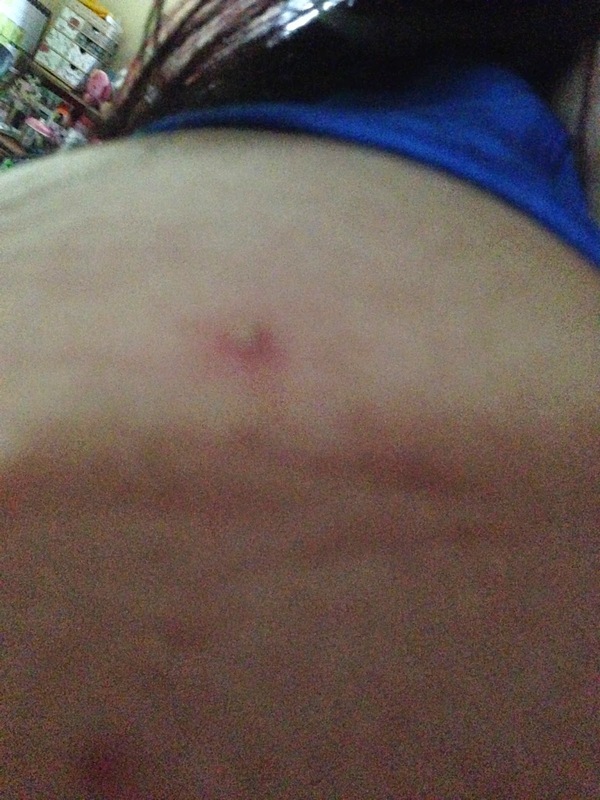 Benzac AC doesn't help with the scarring, unfortunately. However, I do find that the areas where I applied the gel was less oily than usual. On Day 3, I decided to try out the scrub. It came out in a butter yellow and I couldn't help but think, "Sulphur!" thanks to my dad's former penchant for soaps with sulphur to combat fungal and bacterial skin infections. To my surprise, it's actually a very pleasant and refreshing lemon scent! It didn't feel too dry as a scrub and I quite like the smell. Can't really tell how great it is as a scrub especially since I use Clarisonic. I still can feel quite a bit of white heads on my chin and my nose still has black and white heads. Overall, I loved how it dried out my pimples without causing my skin to peel or flake! Definitely is a better alternative to expensive tea tree oil or other pimple creams that I've tried in my teenage days. Rating: 4.5/5! Begone acne!! Benzac AC series is easily available at the National Skin Centre (it is dermatological tested, after all), selected Guardian, Watsons and Unity stores at S$17.50. If you don't want to buy the full tube but want to try it, you can get the sample version from SampleStore here or from Benzac directly.